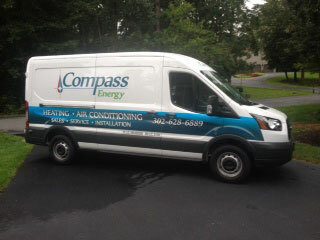 Compass Energy is your full-service HVAC, heating, air-conditioning and petroleum company serving Sussex and Wicomico counties. Compass Energy was developed by a team of dedicated industry professionals in order to meet or exceed your expectation in installing and maintaining your heating or air-conditioning system. Shortly after it’s establishment, Compass Energy acquired a locally owned and operated petroleum company, Laurel Petroleum. Our headquarters in Laurel, Delaware is home to both Compass Energy and Laurel Petroleum. Since the early 1940’s, Laurel Petroleum has been a reliable and dependable resource for the fuel oil needs of homes owners, businesses and farmers in the Sussex County landscape. Since becoming a division of Compass Energy, we have expanded our territory and products. Our old-fashioned way of doing business includes No hidden fees, No customer service fees, and No Haz-Mat fees. At Compass Energy, you get what you pay for so the money you spend goes directly toward your energy cost. We continue to work on remodeling our office space on South Central Avenue in Laurel and have a new awning on the front of our building that is quickly identifiable by the Compass Flame. The most important part of our business is you, the customer. We are blessed and appreciative by the on-going support of the community. As the needs of the community grow, so, too, will our staff and products to better serve you. No matter what your needs are, we would appreciate the opportunity to provide you with a free estimate so that you can make an informed decision about your heating oil, propane, heating, air-conditioning and plumbing needs. Rely on Compass to point you in the right direction.